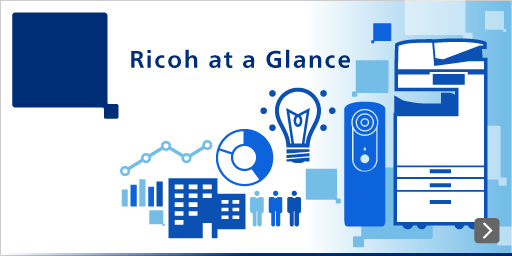 Ricoh will set aside internal reserves to reinforce its corporate structure and cultivate new businesses while striving to deliver stable dividends to shareholders after comprehensively considering such factors as its medium-term earnings projections, investments, cash flows, and financial position. We intend to allocate retained earnings to reinforce core businesses and concentrate investments in businesses offering medium- and long-term growth potential. Your browser does not support inline frames or is currently configured not to display them.